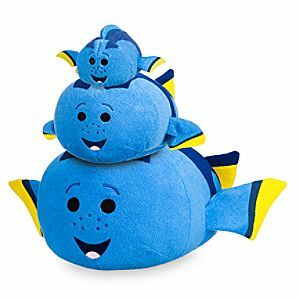 Check out the new Finding Dory Tsum Tsum collection which hit Disney Stores today (May 17). 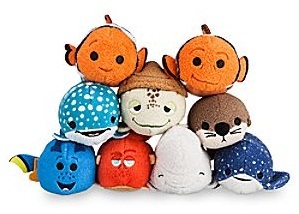 The new mini-set welcomes classic characters back, like Crush the Turtle and ushers in new adorable additions, like the sea otters, Bailey and Destiny (among others). 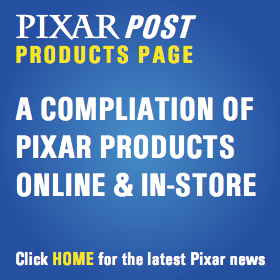 Check them out below – click any link for more information, or to buy that figure on the Disney Store. 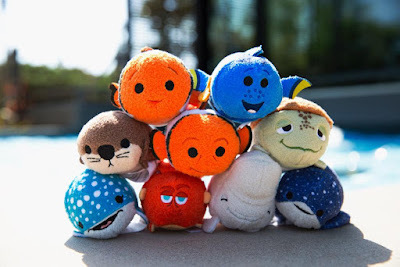 As a side note - although the characters are hitting shelves everywhere today, the full line was available at the Pixar Studio Store (for employees and studio guests) for about a month.